Virat Kohli led Royal Challengers Bangalore are all set to face IPL with fresh energy. The team has been the most popular one among IPL and the duo Virat Kohli and Ab De Villiers are reputed for their unmatched partnerships. Chris Gayle who was once a part of RCB also added to its popularity by being a run machine in some seasons. But given Virat Kohli’s track record in the recent past, it is highly likely that he is the one that might be leading RCB to their Maiden title this year. The man currently is on the top of ICC ODI and Test Rankings. He had played unimaginably well in the recent matches against Australia and New Zealand and is at the peak of his form currently. He possesses an impeccable record in IPL leagues like being the most expensive player in IPL history. He is also one of the few batsmen that scored the greatest number of runs in a season. He scored a gargantuan 973 runs in a single season (2016) which still remains to be a record. He also holds a record for highest partnership for any IPL/ T20 match in the history. He and Ab De Villiers managed to secure a 229-run partnership in a match against Mumbai Indians in 2015. Apart from this, he has the second highest number of centuries (4) after Chris Gayle. He is also among the first five in the number of half centuries (34) next to Gautham Gambhir (36), David Warner (36), and Suresh Raina (35). Virat Kohli is the first batsman in the world that had reached milestones like scoring 10,000 runs in the least number of innings and time. He is also the first captain to reach 1000 run milestone in a calendar year in the least number of innings. He is the first person to reach 4000 runs in IPL and is currently in the second position in the total number of runs. 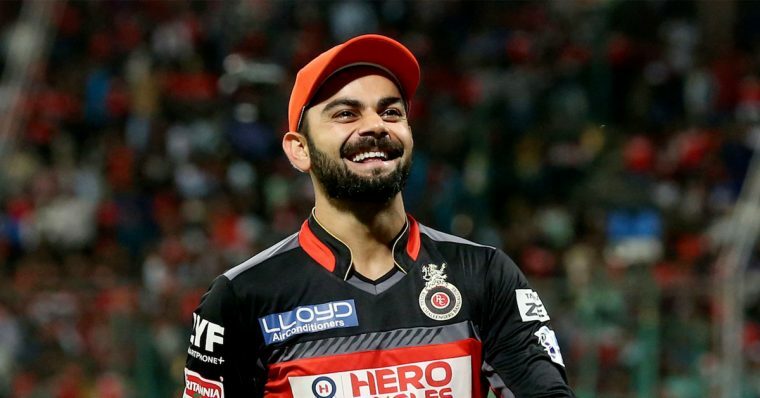 The man had once stated that he loved to play for RCB and will be playing for the team all his life. His commitment and focus as a captain and batsman is well known to all the Indians. Since RCB is at its all-time best this year, there is a pretty good chance for it to claim the title. Are you all set for the twelfth season of IPL? Watch IPL 2019 live streaming on YuppTV from Continental Europe, Australia, Singapore, Malaysia, South America, and South East Asia. Download the YuppTV App to gain access to IPL 2019 live from Smartphones, Smart Televisions, and other internet-enabled devices.